"The Maharajah does not encourage building, and upon wisdom is his objection founded. Srinagar is subject to floods but apart from this, houseboat life is far preferable. Anything else is out of place in this Asiatic Venice. A flood of a most disastrous nature, the year preceding my visit, was still a pet theme of conversation. 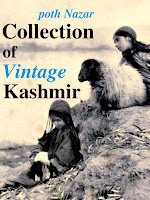 Srinagar was quite lost to sight for the time being, even the tallest trees were submerged. Queer tales were told of a piano and furniture generally floating on the surface of the waters, and of the chaos and confusion existing when the waters subsided. Fortunately the loss of life was small ; the inhabitants had sufficient warning to find safety in boats. 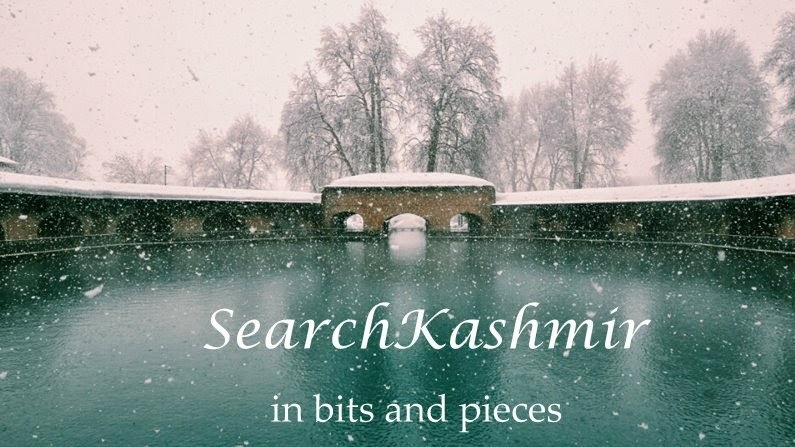 In the carpet factories, one of Kashmir's greatest industries, fears were entertained for their safety, but when the waters subsided it was found little harm had been done, and that carpets, sub- merged for weeks, came out uninjured. Mr. Mitchel, perhaps the largest of manufacturers there, told me that he attributed the durability of these dyes solely to the peculiarity of the water with which they were blended. A visit to his factory included a lesson in carpet- making, and was most interesting. Boys from six years and upwards, and men and women were engaged in the work, and so mechanical was it that the actual workers knew nothing really of the beautiful patterns they were weaving ! These were read out to them, as they sat in front of the great screen on which was fixed the foundation string work of the carpet on which the designs were worked. These patterns, on which we tread so heedlessly, were worked out as carefully as Berlin wool church work " four white, lift six, seven black, three blue, eight green, lift four," and so on, the reader monotoned, and for one wrong stitch to cause a flaw in the design, without hesitation was the work stopped and undone. This factory was the scene of one of the quaint incidents caused by the floods of 1903. When the waters subsided, one of the owner's houseboats was found stranded on top of his bungalow ! History doth not relate how it was dislodged from its inconvenient perch. Such excitements are not likely to occur in Kashmir again. A flood spill channel has been constructed, a mile above Srinagar, and should there be an overflow, owing to excessive rain or the bursting of boundaries after severe frost, the surplus, it has been proved, will effectually be carried off to the Woolar Lake." 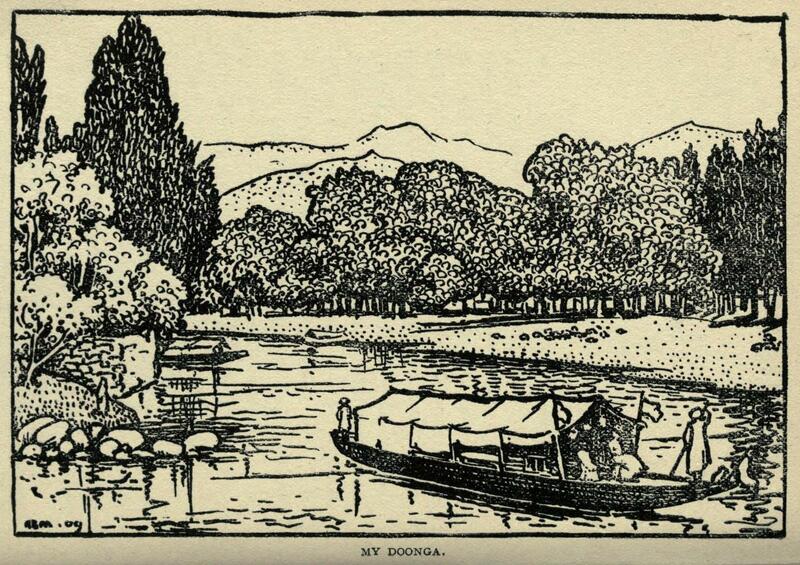 From 'The land of regrets: a Miss Sahib's reminiscences' (1909) by Isabel Fraser Hunter, who visited valley in 1904 . The book mostly has India but for a brief de-tour to 'Asiatic Venice'.